Let dental implants restore your smile by filling in the gaps from missing teeth. Dental implants are a permanent tooth replacement option. They look just like natural teeth and perform normal tooth functions, such as biting and chewing. 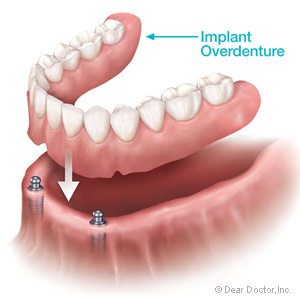 Once placed, dental implants are permanently affixed in place and will not loosen or fall out when speaking or eating. At Western Slope Dental Center, Dr. Brandon Berguin, Dr. Kira Funderburk, and Dr. William Berguin are your dentists for dental implants in Grand Junction, CO. Dental implants consist of three components: a metal implant, an abutment, and a dental crown. The metal implant is placed below the gum line and functions like a root anchoring the artificial tooth in place. The dental crown is placed above the gum line and is a replacement tooth. Crowns look like natural teeth and can perform natural biting and chewing functions. The abutment is a connecting piece that joins the metal implant and crown together. 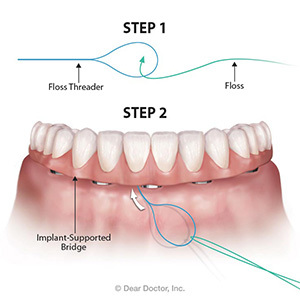 Once the procedure is complete, the crown is the only portion of the dental implant that is visible. Dental implants can restore your smile and give you back a full set of teeth. For dental implants in Grand Junction, CO, schedule an appointment with Dr. Berguin, Dr. Funderburk, or Dr. Berguin by calling Western Slope Dental Center at (970) 241-3483.